"In 1960, Coltrane left Miles [Davis] and formed his own quartet to further explore modal playing, freer directions, and a growing Indian influence. They transformed "My Favorite Things", the cheerful populist song from The Sound of Music, into a hypnotic eastern dervish dance. The recording was a hit and became Coltrane's most requested tune—and a bridge to broad public acceptance." 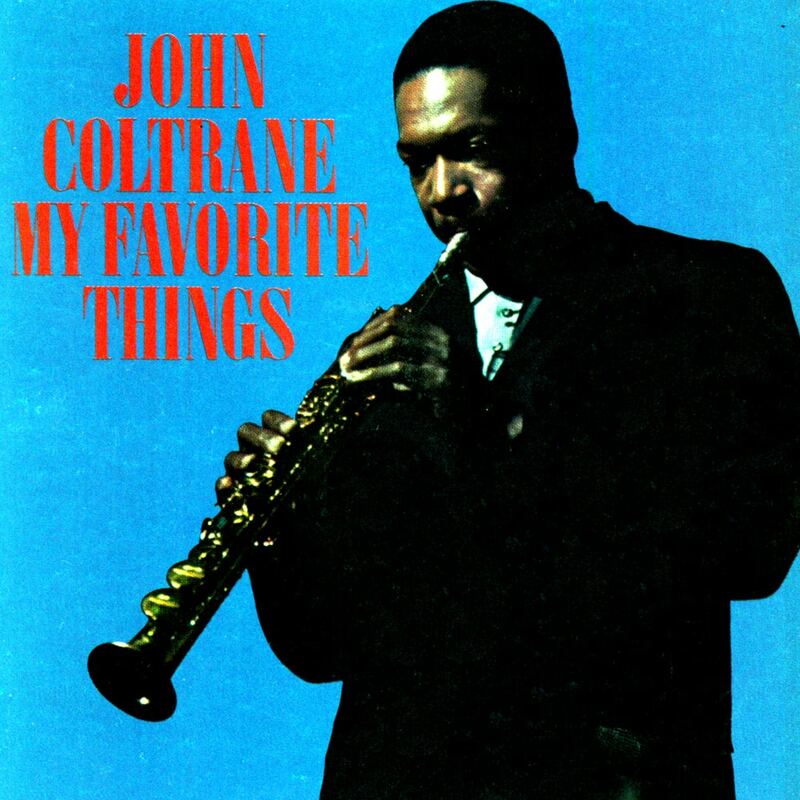 My Favorite Things is the seventh studio album by jazz musician John Coltrane, released in 1961 on Atlantic Records. It was the first album to feature Coltrane playing soprano saxophone. An edited version of the title track became a hit single that gained popularity in 1961 on radio. In March 1960, while on tour in Europe, Miles Davis purchased a soprano saxophone for Coltrane. With the exception of Steve Lacy's late 1950s work with the pianist Cecil Taylor, the instrument had become little used in jazz at that time. Intrigued by its capabilities, Coltrane began playing it at his summer club dates. After leaving the Davis band, Coltrane, for his first regular bookings at New York's Jazz Gallery in the summer of 1960, assembled the first version of the John Coltrane Quartet. The line-up settled by autumn with McCoy Tyner on piano, Steve Davis on bass, and Elvin Jones on drums. Sessions the week before Halloween at Atlantic Studios yielded the track "Village Blues" for Coltrane Jazz and the entirety of this album along with the tracks that Atlantic would later assemble into Coltrane Plays the Blues and Coltrane's Sound. The famous track is a modal rendition of the Rodgers and Hammerstein song "My Favorite Things" from The Sound of Music. The melody is heard numerous times throughout, but instead of playing solos over the written chord changes, both Tyner and Coltrane take extended solos over vamps of the two tonic chords, E minor and E major, played in waltz time.